Ding! It's done! Aspiring chefs can experience the fun of baking without the heat and dirty dishes with this Magical Oven that features real lights and sounds. 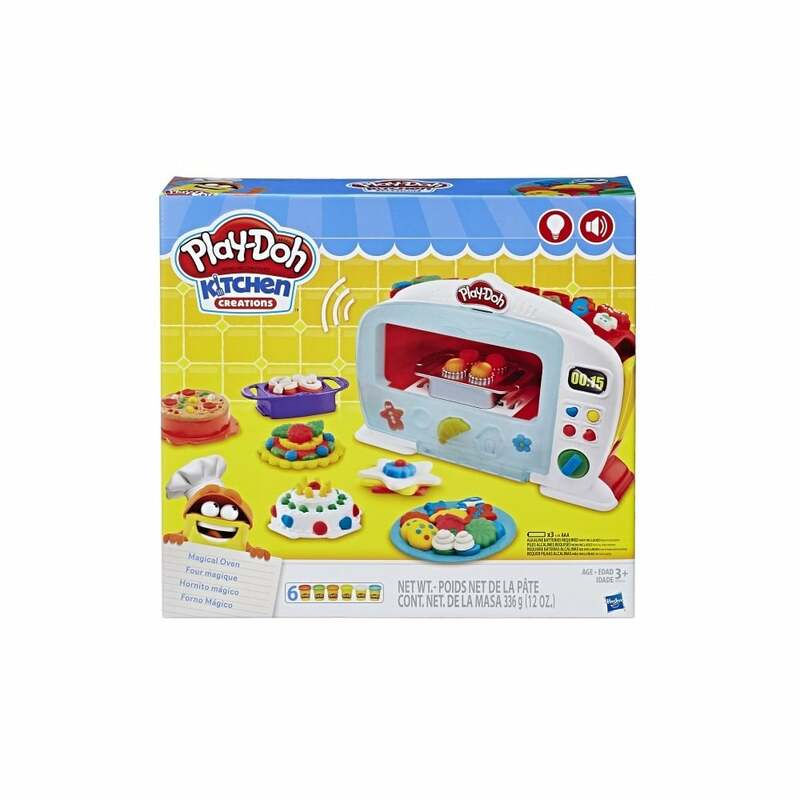 Simply put some Play-Doh compound in a pretend food attachment and place it in the oven, then press the lever and see the Play-Doh food "bake" almost like magic! The lights change from white to red as the pretend food finishes "cooking", then the oven makes a ding sound when it's done! The 5 pretend food attachments include favorites like make-believe muffins, crazy cake, pretend pie, and more. Add fun side dishes with the molds to customize the creations, and when finished, show them off with the plates and utensils. The creation card can help inspire your junior chef with even more fun things to make. With Play-Doh Kitchen Creations, the best ingredient of all is imagination!